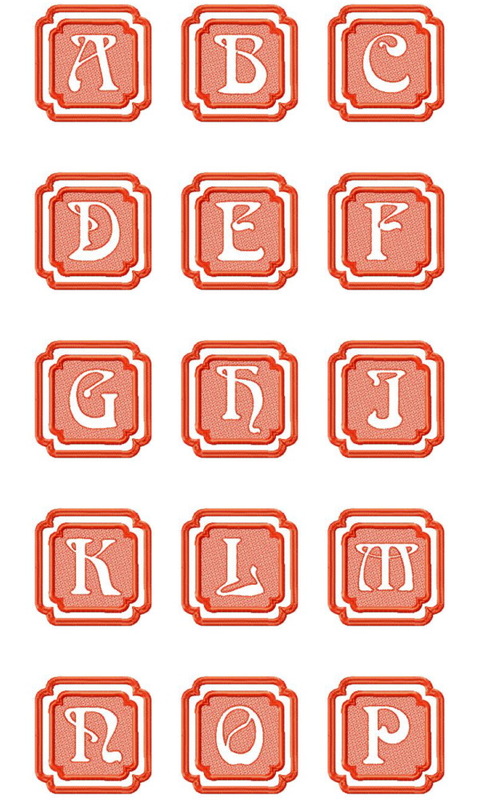 Embossed Monogram 2 - $24.99 : Fancy Fonts Embroidery, Home of the ORIGINAL Trendy Dots Font! 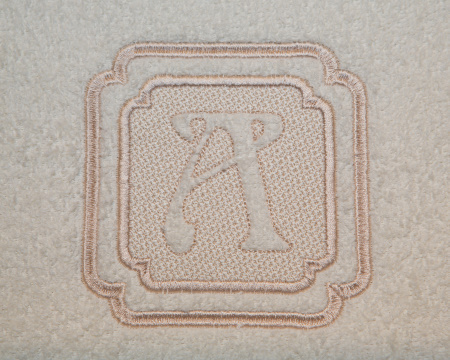 Perfect for towels, polar fleece or any type of plush blanket or fabric with a "pile". Creates a lovely 3D effect! 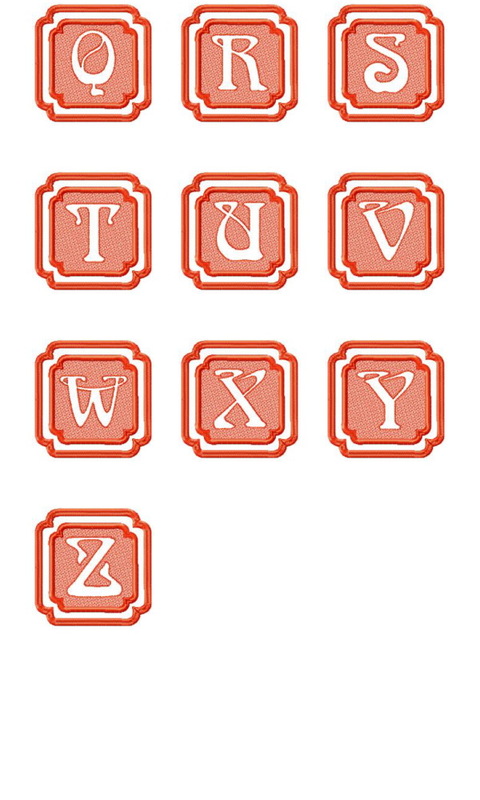 Stitch a single initial, or combine 3 initals in a row for a beautiful, contemporary monogram. For best results use a cut away stabilizer and a water soluable topping (such as solvy) on top of the fabric to hold down the "pile" of the towel or other plush fabric. Hoop the towel (or fabric of choice) with the cutaway stabilizer underneath and a water soluable topping all together. You will get a much cleaner result using this method. In the example photos I used a matching thread to the color of the towel. Typically if you have a lighter fabric you would want to use a thread slightly darker than the fabric, and if using a darker fabric you would use a slightly lighter thread. 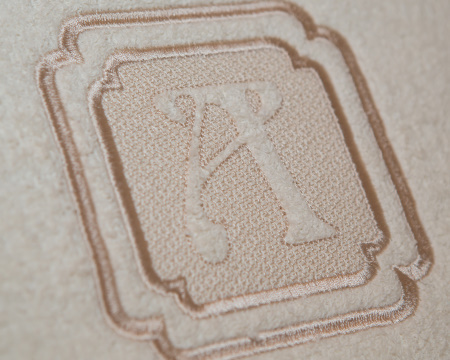 This will give you the best embossing effect and make your design "pop"!